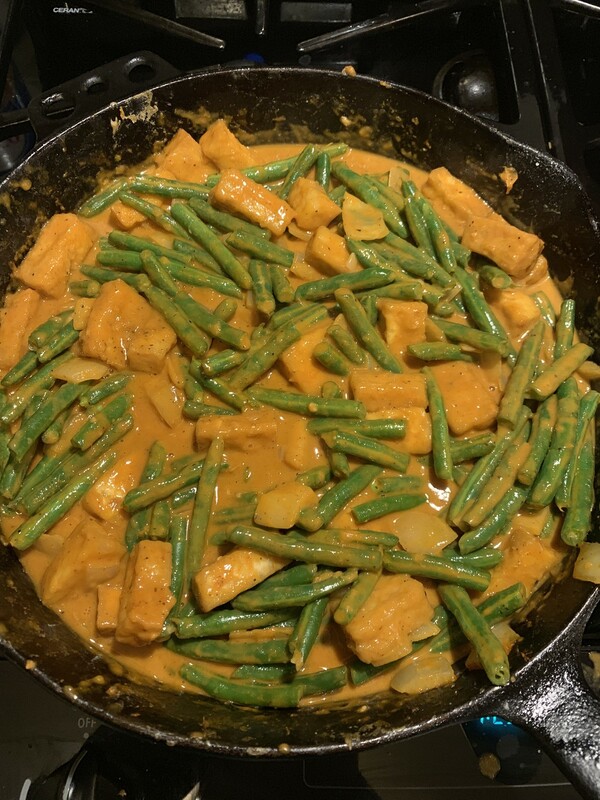 I made deep fried tofu and now I’m making a coconut milk & peanut curry! Yay for days off! Obviously that should say Food. Ugh. @Mainebot Sadly, The Thai Kitchen brand jar of red curry was kinda bland. I goosed it up with some sriracha, but I need to get out to the big oriental market & get some of those tiny cans of curry paste from Thailand. They’re much better. The fried tofu worked out well though. @Devils_Rancher WOW THAT LOOKS SO YUMMY! !